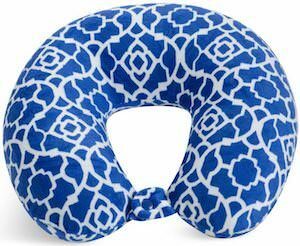 If you travel a lot then you know that your neck hurts when you take a nap on a plane without a travel pillow so that is why you should check out this fun blue trellis travel pillow. This neck pillow has a fun blue trellis print with the blue and white making it look fresh and fun and there are other designs too and you can see them by clicking on the image. 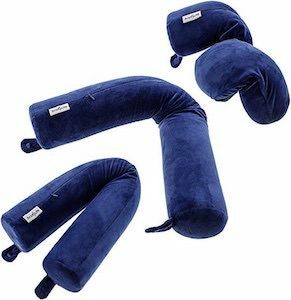 The neck pillow is feather soft and has a microfiber filling and you can close it in the front with a button so that it stays in place while sleeping or you can hang it on your back while moving around. 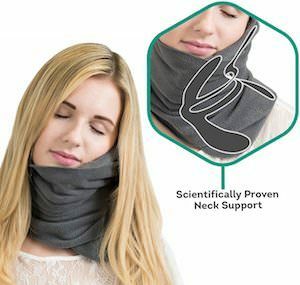 We all know about travel pillows and most do not prevent your head from falling forward but now there is this chin support travel pillow and it is made by the people from BCOZZY. This travel pillow is 360 degrees and a part goes on top of the other making it nice and thick where you want it and thin where you don’t. You can now be more comfortable while napping on a plain, train, car, or at home all thanks to this pillow. And this cool pillow is available in sizes for both adults and kids and comes in many colors so that you get a pillow that fits perfect and looks cool. 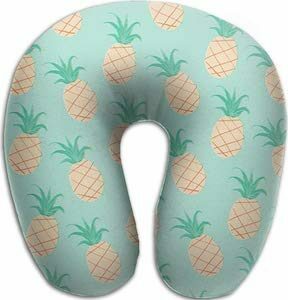 We all know that taking a little nap while on a plane often results in having a really sore neck for days but a nice travel pillow can help prevent that. Now there is the Travelrest pillow that is easy to inflate and take with you and when inflated it becomes a pillow that resembles a 7 and that gives you head a rest while you have the rest of the pillow in front of you (or the side) making it really comfy. The pillow will stay in place thanks to the included strap so that you can nap without having to worry about you nice soft pillow. 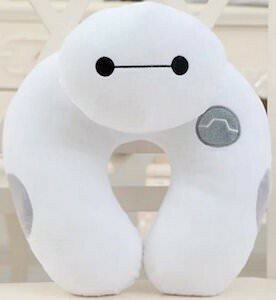 Now traveling by train, car, or plane will be so much better all thanks to this amazing pillow. Sure we all know the traditional u shape foam travel pillows but we all know that they don’t do much for neck support and that is why you want the Trtl pillow as it offers everything you wished for. 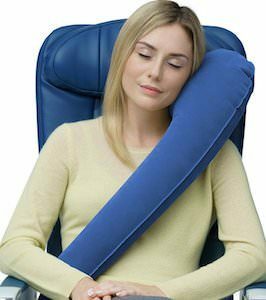 The travel pillow wears more like a scarf and closed with velcro and in the pillow, you find a headstand so that you head has the real support that is strong enough to keep your head and neck in position and all that without being uncomfortable to wear. 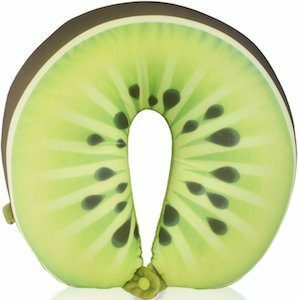 You can get this amazing travel pillow in a range of colors so that it can be a travel companion that looks great and is just what you need. 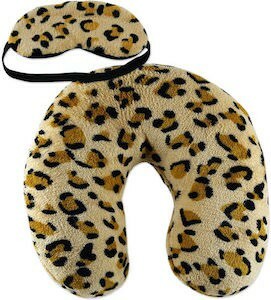 If you are looking to take a nap on your next trip then of course you need a great looking travel pillow. And if animal prints is you thing then this travel set could be perfect for you. The set includes a travel pillow and an matching eye mask. And the travel sleep set comes in Cheetah, Jaguar and Snow Leopard print. So just pick your favorite animal print and be ready to start dreaming of your next trip. 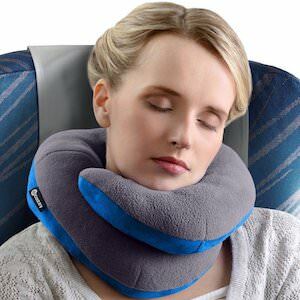 Now you can travel in style when being comfortable with this neck pillow and eye mask when you try to take a quick nap before you holiday starts. 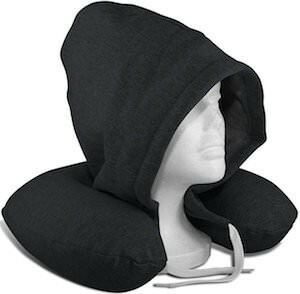 Travel pillow are great but if you want a bit more privacy then maybe this travel pillow with build in hood could be even better. The pillow is made from memory foam to be super comfortable and the cover is made from sweatshirt like material and comes charcoal or grey and also includes a matching cover. Now you can just feel comfortable on those long trips without having to worry about not being able to rest. And the hood will protect you from the germs left behind on the head rest by the previous traveler and that may bring you some easy of mind to.